My denim outfit is here and I had the pleasure to see it featured on Elle.com HERE . I know that NYFW came to the end but I still have a few more posts with photos from there! Have a wonderful Sunday everyone ! 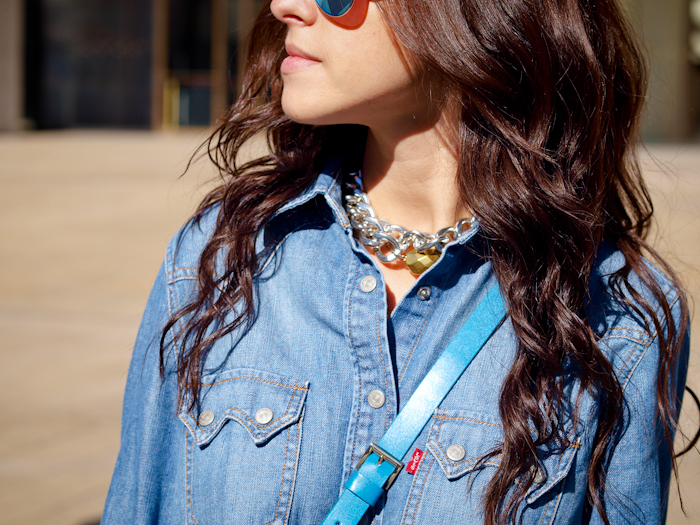 Love the denim on denim look, and the touch of leopard print! wow, i realy like thi look, it great! Great look Veronica and I LOVE your hair like that! And that is soooo awesome about the Elle feature! 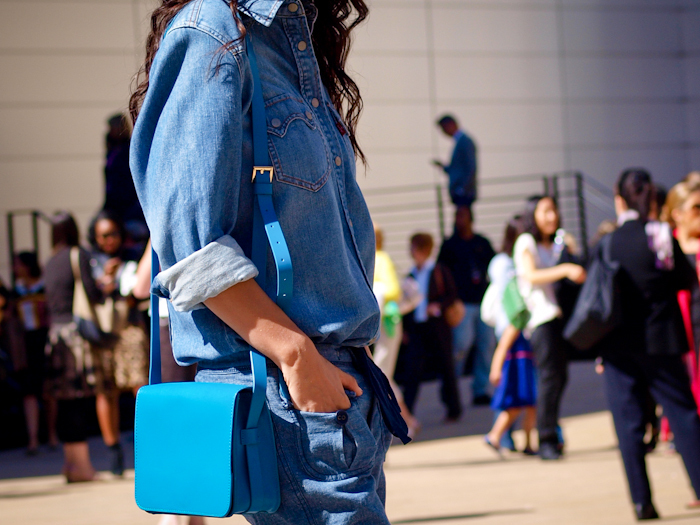 love love denim monochromatic look with a pich of leopard print. fab! Buen dia!!! lindas gafas..me re gustaran..besos !! nice outfit, and your sunglasses makes me crazy, they r so cool! wow! love this look!!! great combination! Great outfit, big like for your style. You look very nice, Dear! Denim on denim + leopard print shoes is just so risky and awesome!! love it!!!! love this sooo stylish and chic ! Un look superb, ca tine de altfel! i dig the sling bag! lovely color! your hair is so gorgeous here!! Another magnificent look! Effortless and so hip! I love the way you have paired you denim shirt with denim pants! You carried off the whole outfit with elegance!